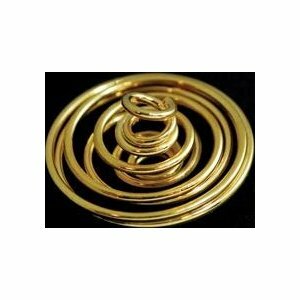 A large gold plated coil that expands into a spiraling design that can be used to hold small charms. Coil may come already expanded and ready for use. No cord. 1" x 7/8"